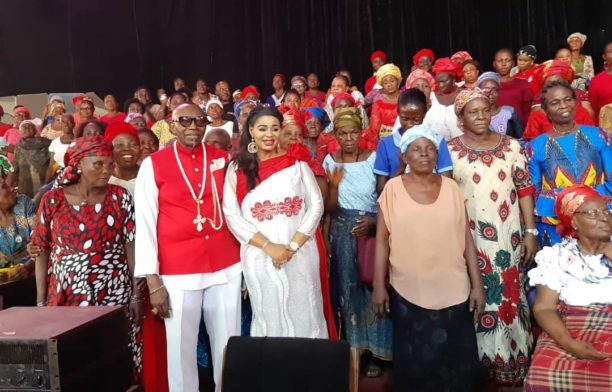 In a bid to empower widows and make them self-reliant in a climate of increasing economic uncertainty, the wife of Papa Ayo Oritsejafor and Chairperson of Eagle Hands International Foundation (EHIF), Mama Helen Oritsejafor, has given 10 thousand naira each to over 100 widows and widowers of the Word of Life Bible Church, Warri. 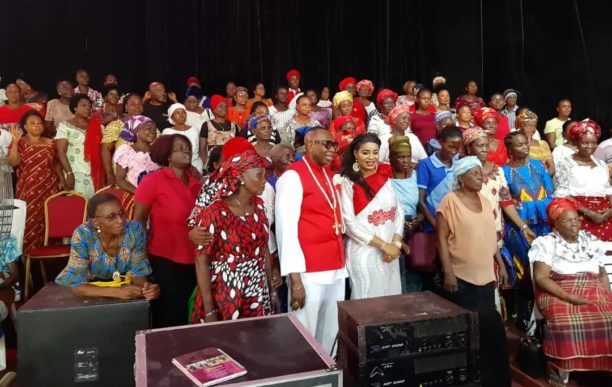 Presenting the gifts to the beneficiaries, Mama Helen Oritsejafor said she and her husband, the Senior Pastor of Word of Life Bible Church, Papa Ayo Oritsejafor are very happy for the privilege God has given them to show love to people. She encouraged the beneficiaries to make judicious use of the money, with a view to adding value to their businesses, noting that Christians have to emulate God’s love as commanded in the Bible. Mama Helen Oritsejafor charged young girls to shun immoral act and not allow themselves to be deceived by men, but to remain dedicated to God. EHIF Project Manager, Pastor Oreva Usolo commended Papa Ayo & Mama Helen Oritsejafor for establishing the foundation, which “they have used to touch lives meaningfully, irrespective of tribe, denomination and affiliation”. Pastor Usolo listed some of the projects embarked upon by EHIF to include skill acquisition training for 13 ex-militants, 3-day re-orientation and integration for some vulnerable young ladies, training of women at Agbon Clan, donation of tricycles, clippers and sewing machines. Other achievements include empowering of 40 physically challenged persons with Fifty Thousand Naira each, training of over 200 persons in bead making, shoe making, catering and exterior decoration. According to Pastor Usolo, over one thousand students from kindergarten have benefited from EHIF scholarship scheme up to tertiary level, courtesy of Papa & Mama Ayo Oritsejafor annual scholarship programme. The widows were full of joy as they received the cash and prayed for Papa & Mama Oritsejafor.